If you are planning to visit Japan in December, it's best to avoid traveling to the country during the last week of the month and the first week of January, because this period is one of the busiest travel seasons in Japan. Just as they are in Western countries, many people are off work during this time for the holidays, and that can make it difficult to get reservations for transportation and accommodations without a considerable amount of advanced planning. And forget about booking a hotel at the last minute during this time. Christmas is not a Japanese national holiday, as most people there are not Christian but practitioners of Buddhism, Shintoism, or no religion at all. Accordingly, businesses and schools are open on Christmas unless the holiday falls on a weekend. For this reason, traveling around Christmas Day in Japan isn't as difficult as doing so in Western countries. While Christmas Day is essentially like any other day in Japan, it's important to note that Christmas Eve is celebrated there. It has become a night for couples to spend a romantic time together at fancy a restaurant or hotel in Japan. So, if you plan to go out on Christmas Eve, consider making your reservations as early as possible. New Year's holidays are very important for the Japanese, and people usually spend New Year's Eve rather quietly with the family. Because many people travel out of Tokyo to visit their hometowns or go on vacation, Tokyo is quieter than usual on this day. However, temples and shrines are extremely busy, as it has become customary in Japan to spend the New Year focused on one's life and spirituality. The New Year holidays also coincides with store sales, so it's a great time to get some bargain shopping done if you don't mind large crowds. January 1 is a national holiday in Japan, and people traditionally mark the holiday by eating several foods for certain purposes, such as ebi (shrimp) for longevity and kazunoko (herring roe) for fertility. Because the New Year is widely considered the most important holiday in Japan, most businesses and establishments in the country, including medical institutions, are closed from about December 29 through January 3 or 4. In recent years, however, many restaurants, convenience stores, supermarkets, and department stores have stayed open during the New Year holidays. So, if you manage to book your trip during this time, you'll have some options for dining and shopping. December is also mostly dry with little rain or snow. The country receives just 1.7 inches (44 mm) of rainfall spread across nine days in December. You'll want to pack general winter gear, including a coat, sweaters, and other layer-able tops, a scarf, and other winter accessories. It's a good idea to bring a warm hat and earmuffs for windy days. If you're planning to be outdoors in the cold, you can buy disposable kairo heating pads to protect your hands and feet. These handy pads cost around $2 USD for a pack of 10 and will stay warm up to 12 hours. With the year coming to a close, there are plenty of traditional festivals and events that can add authenticity to your Japanese vacation. Chichibu Yomatsuri (December 2): In this famous night festival, floats lit by lanterns are pulled through the town. Sanpoji Daikon Festival (December 9-10): This Kyoto festival celebrates the popular daikon radish, which becomes available in the fall. More than 10,000 people eat the boiled radish during the celebration. Akou Gishisai (December 14): This festival is a memorial to the 47 ronin (or wandering samurai) who committed suicide to avenge their master. The celebration includes traditional dance and warrior parades. 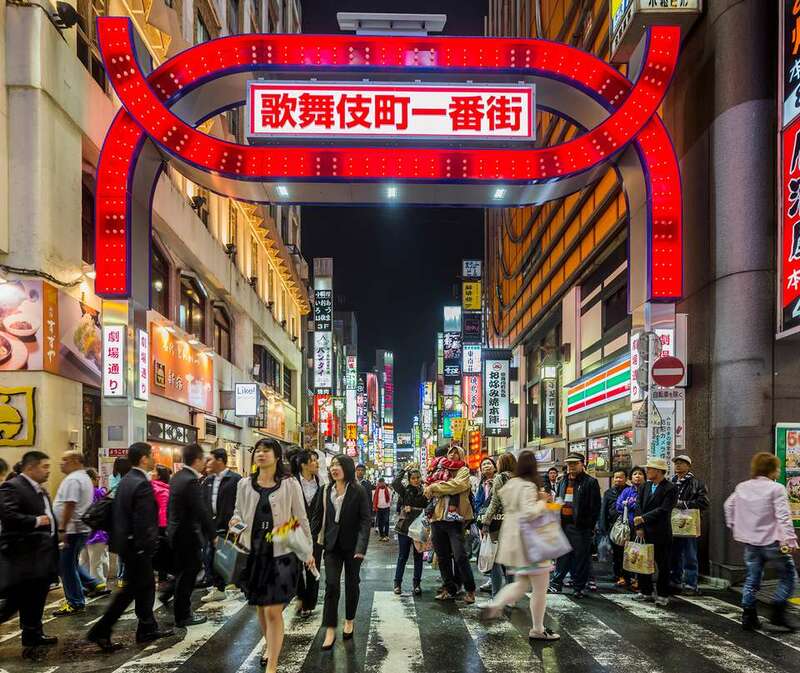 The New Year period might be a good time to stay in Tokyo. You may get good deals on nice hotels. On the other hand, onsen hot springs and snow resorts tend to be crowded with visitors. Early reservations are recommended if you plan to stay at onsen or snow sports destinations. If you are taking long-distance trains, try to make seat reservations in advance. It's hard to get seats on non-reserved cars during the peak travel season.